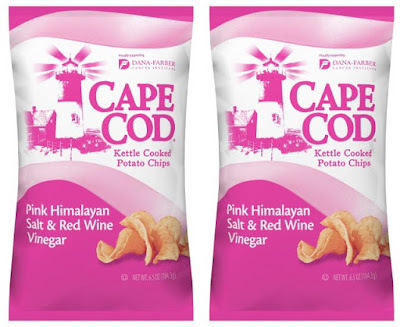 Cape Cod releases new Pink Himalayan Salt & Red Wine Vinegar Potato Chips in support of Breast Cancer Awareness Month (October). The limited edition chips offer a slight twist to the brand's Sea Salt & Vinegar flavor by joining red wine vinegar and pink Himalayan salt. Five percent of the proceeds from every purchase (up to $25,000) of the limited-time flavor will go to support the Susan F. Smith Center for Women's Cancers at Dana-Farber Cancer Institute. 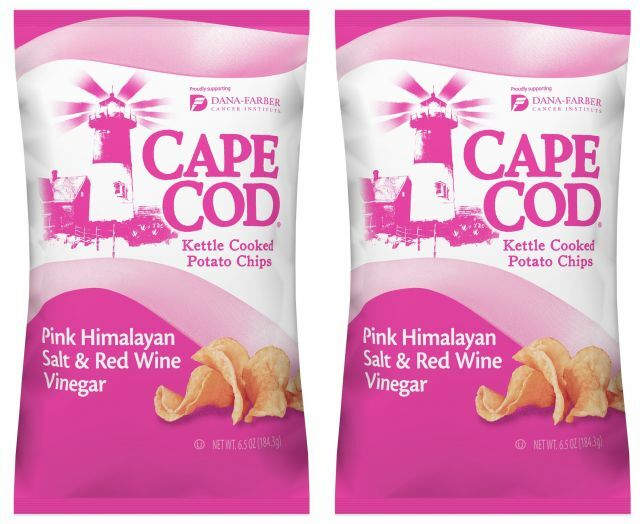 You can find Cape Code Pink Himalayan Salt & Red Wine Vinegar Potato Chips for a suggested price of $3.79 at major grocery stores and at the brand's online store.